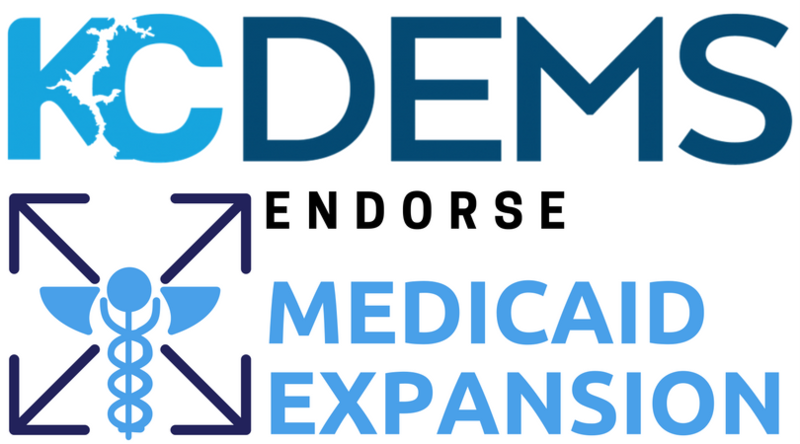 The Kootenai County Democratic Party endorses the petition drive launched by non-partisan group Reclaim Idaho to expand Medicaid for 78,000 Idahoans who fall in the coverage gap, many of which who desperately need access to care. Our current Idaho Legislature refuses to accept federally appropriated annual funds of approximately $500,000,000 to expand Medicaid coverage, ignoring the needs of hard-working Idaho families and the overwhelming amount of economic evidence that supports expansion. We believe the people of Idaho deserve the opportunity to directly voice their decision on the issue by voting on it in November 2018. By accepting the 90% federally-covered tax dollars to expand Medicaid, Idaho will save millions of dollars that are currently spent to cover indigent hospital bills through local property taxes and state funds. We will bring back federal dollars that Idahoans already pay. In addition, our state economy will gain an estimated 14,000 good-paying jobs and 46 million new dollars of state tax revenue. Expanding Medicaid to those under 65 whose modified adjusted gross income is 133% or less of the federal poverty level means helping working-class Idahoans who are not offered employer-based insurance, qualify for coverage under the Your Health Idaho exchange or make too much to qualify for Medicaid under current guidelines. The people within the gap are people with various backgrounds that contribute to society: they work in the service industry; they have their own small businesses or work in the ever-growing “gig” economy. They are students gaining valuable skills to aid Idaho’s growing industries. There are 10,000 Idaho veterans who paid the highest honor of serving our country that go without health insurance. Approximately 3800 veterans would gain coverage under Medicaid expansion. Our endorsement and support for the Medicaid for Idaho petition drive is not only a measure of compassion but also of plain common sense. We are all impacted by illness and disease in one way or another. It’s time we move Idaho forward and reap the multiple benefits of Medicaid expansion, just as the vast majority of states in our union have. To learn more about this petition drive, visit www.medicaidforidaho.org or contact Kootenai County representative Jessica Mahuron at cdavoterguide@gmail.com.